Complement your Western décor with the gorgeous, copper details of this handcrafted, Spanish colonial style credenza. The design of the credenza´s classic, straight top rim is repeated on the solid wood molding of the base. Below the top rim are marvelous, hand carved, floral and scroll designs. 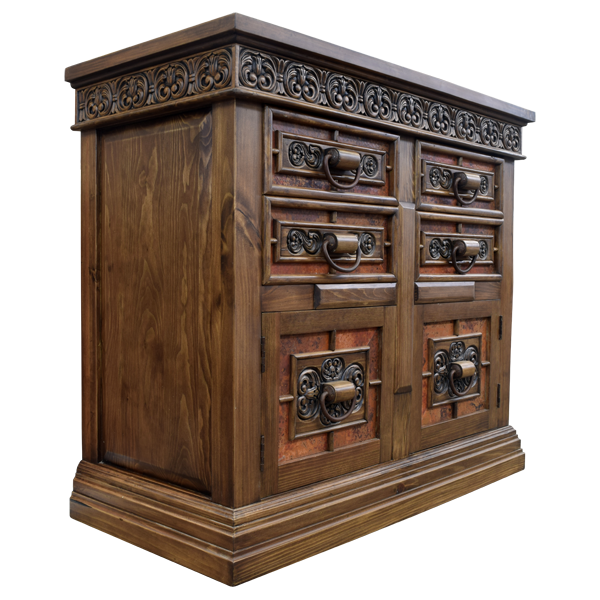 The top front of the credenza has four rectangular drawers and each drawer is adorned with a hand hammered and hand tooled copper panel. 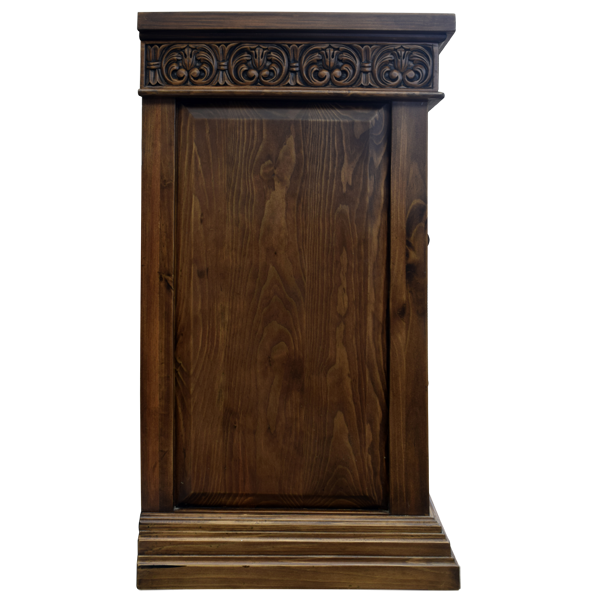 Each copper panel has a small, centered, rectangular, wood panel overlaying the copper, and the wood overlay is hand carved with lovely, floral and scroll designs. 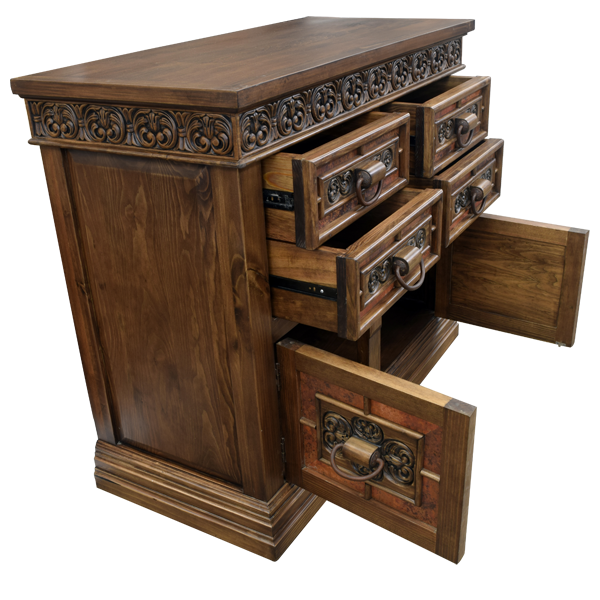 Each drawer has a hand forged, iron handle in its center. 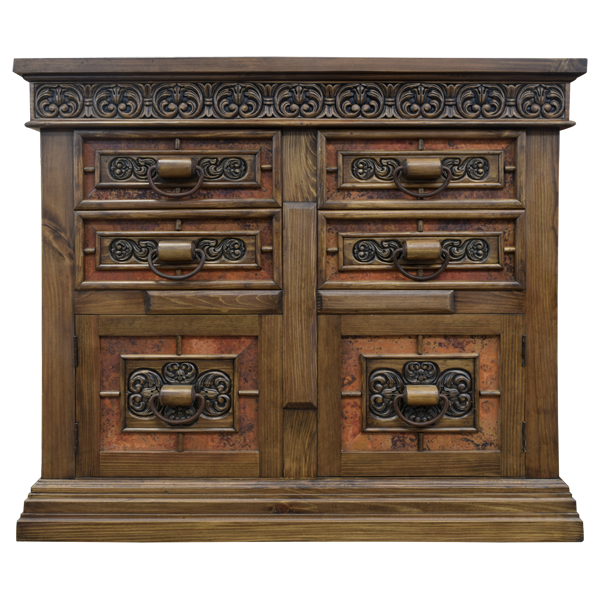 Below the drawers are two, small cabinet doors, and each cabinet door is also embellished with a hand hammered and hand tooled copper panel. 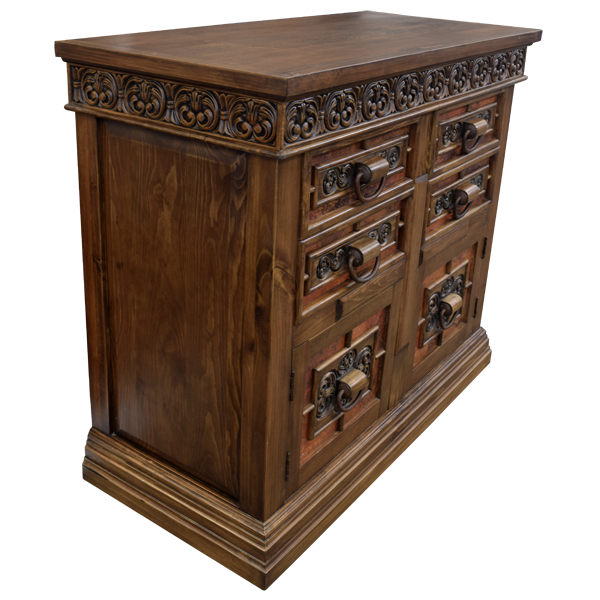 Overlaying the copper is also a small, rectangular, wood overlay, and the wood overlay is hand carved with ornate, floral and scroll designs. Centered in each cabinet door is a hand forged, iron handle. Each lateral side of the credenza is embellished with a decorative, rectangular cut panel. The credenza is made with the best, sustainable, solid wood available, and the credenza can be accompanied with a magnificent, handcrafted mirror. 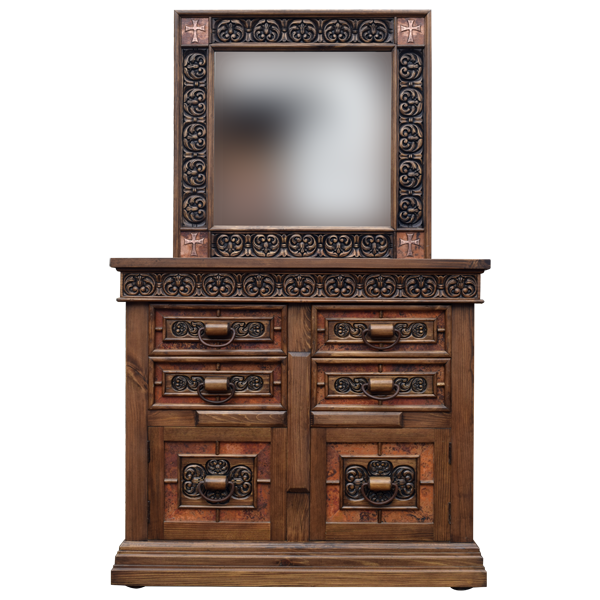 The mirror´s frame has luxurious, hand carved, scroll and floral details, and in its corner are hand hammered and hand tooled copper details. The credenza can be purchased with or without the mirror. The mirror and credenza are 100% customizable.